Minister Jo Branch is a native Floridian, currently residing in the city of Oakland Park, FL. She is a full-time employee of the School Board of Broward County, where she transcribes Braille for the visually impaired. 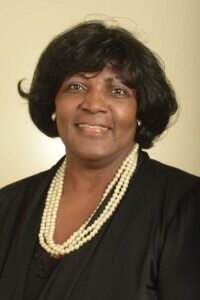 Minister Jo Branch has served faithfully with Mount Bethel Ministries in Fort Lauderdale, FL, under the leadership of Bishop C.E. Glover for over twenty years. Ministry involvement has included service with the Nursery Ministry, Prayer Ministry, the Seasoned Saints Ministry, Praise Team, Liturgical Dance Ministry, Pastors’ Angels, Equipping Center, and Ministers in Training. Minister Jo also gave assistance in establishing and nurturing the Mount Bethel Worship Center in Fort Pierce, FL for four years. She is currently in the M.Div program (emphasis New Testament Exegesis and Theology) here at SFBC.